Now let’s go ahead and move on and look at this week’s challenge and tutorial. I came up with this after a frequent question from my girlfriend. “Did you lock the door?” is something I would hear on a nightly basis. I would assure her I did, or on other occasions, I would ask Siri to confirm this for me. Both of these are totally adequate solutions, but I was looking for a way to appease her worry without having to be the one to answer. I found an elegant solution, that works reliably, and lets me know that all my doors/windows are closed, and that the door is locked. So let’s go jump in and take a look how. The general solution here is to use a nightlight as the status monitor, with a few well-crafted automation rules. To follow along at home, you need the Home app, a HomeKit lock, and (preferably) an iDevices accessory. Note: You don’t need an iDevices accessory necessarily, but they all come with a small “nightlight” on their accessories that can be controlled via HomeKit. If you don’t have an iDevices outlet or wall switch, you really could use any HomeKit light in its place. Once you’ve got your HomeKit lock and a light to use for the status, we can get to the automation. 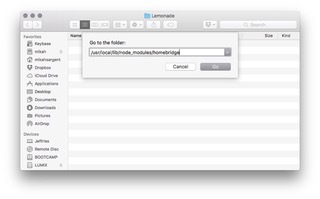 1) Open the Home app and choose the Automation tab. 2) Tap the + button in the top right-hand corner. 3) Choose “An Accessory is Controlled” as the type of new automation. 4) The first step is to choose the accessory that will trigger the status light. In our situation, that means we want to choose our door lock. 5) The second step is to choose what the action is. We will need to set this up twice, once for locking, and once for unlocking. In the first round, we will choose Locks, any Time, with People turned off. 6) Now find your light that we will control, in my case my iDevices nightlight. 7) The last step before saving the automation is to choose the brightness and color of the light. For me, I want it to turn red and be at 10% whenever the door locks. Then tap Done. 8) Repeat these steps as above, but instead of Locks choose Unlocks, and instead of red make the color green or whichever color you’d like to use for unlocked. You’re now all set up! In my setup, whenever the Dining Room Front Door (which happens to be my front door) locks, the nightlight in my bedroom changes to red at 10 percent brightness. If it unlocks, it goes to green at 10 percent brightness. 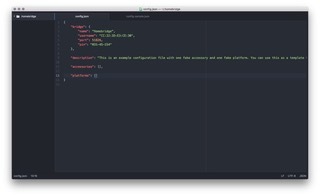 Here is what that automation looks like, but be aware, the summary screen doesn’t show you the color of the nightlight. This is a fairly basic example of a status light, and if you wanted to get even more complicated, you could use a series of conditional statements to make it immensely more inclusive. As an example, if you have HomeKit sensors on your windows, you could have them change the status light to green when they are opened, and turn to red, when they close with a conditional based on the door also being locked. You would then have to update your door automation to only turn red if the windows are also closed. You can see how this can easily become complicated, but still effective. Creating a status light is something that was born out of a need in our home. People like feeling secure, and til now, there is not much in the form of HomeKit security systems. You are more or less relegated to setting up your own system yourself. 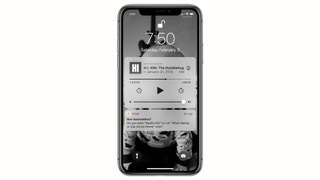 Hopefully, in the future, you could take the “security system” further by making a speaker play an audio track to let you know if a door or window is opened after a certain time, assuming that speaker supported AirPlay 2. Those of you who’ve been following my Smart Home Diary series will know that I’ve learned a number of lessons – some of them the hard way. But I thought it would be useful to distill these into a single piece offering my best advice for anyone planning to create a smart home from scratch today. Smart home tech isn’t cheap. Not only that, but costs have a sneaky way of adding up over time. You start with a bulb or two, and a year later you’re well into four figures. If, realistically, the amount you can invest in smart home tech is very limited, then it’s particularly important to spend your money on the right things – the things that will make the biggest difference to your life. But, ironically, it can be even more important to think about budget if you have more disposable income to play with – because there’s almost no limit to what you can do if you throw enough money at it. Which is where the second question becomes important. How much difference will a smart home make to your life? Is waking up in the morning, saying ‘Hey Siri, Morning’ and seeing your home spring to life something that will bring you a frisson of pleasure each time you do it? Do you take the view that anything that can be automated should be automated? Do you love the thought that simply tapping a button on your iPhone when you go to bed saves you the trouble of wandering around your home switching off lights, closing blinds and ensuring the heating is off? If so, you can justify a significant spend, because it’s something from which you’ll get substantial value. But if you think smart home tech is kind of neat but not that big a deal, you could end up investing a lot of cash in something that will make little lasting difference to your life, especially once the novelty has worn off. That money might be put to better use elsewhere. Take it from me: configuring and trouble-shooting a smart home is something that takes a significant amount of both time and effort. There will be swearing involved. Smart home tech is still something I’d consider bleeding-edge technology. Neither set up nor reliability is at a level I’d yet say is ready for mass-market consumers. 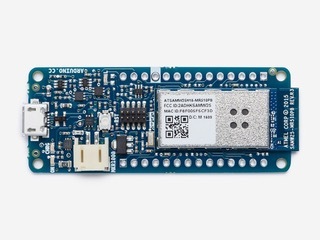 If you’re not willing to do battle with Wi-Fi connectivity, delay your plans to go to bed to work out why one of your blinds isn’t responding or find the ideal positioning for a motion sensor via an awful lot of trial-and-error, then you may want to wait a while. HomeKit has gone a long way toward making things ready for prime-time, but Just Works is still some way off. The somewhat flakey reliability of smart home devices means you also need to ask yourself how patient you are in the face of things that don’t work as they should. You will see devices report that they are unavailable. You will see things that show themselves as constantly updating and therefore unresponsive. You will find that one of the seven lights that should have turned off is still stubbornly on for no apparent reason. You will find there are times when you lose full control of something until you update its firmware. If you are someone who will simply roll your eyes and get on with it, no problem. If, however, a piece of misbehaving technology turns you into an incandescent ball of concentrated fury, maybe now isn’t quite the right time to create a smart home. Even if you’re the greatest technology fan in the world, and can think of nothing more interesting than the challenge of figuring out why your living-room lights don’t turn on when they should, you also need to consider the attitude of your partner and any kids or other household members. If you have any technophobes in the home, they’re unlikely to be amused by swapping simple light switches for a Siri-controlled world that relies on you remembering the name of a particular light. But even reasonably tech-savvy people may not share your enthusiasm for automating everything in sight. For example, my partner is more tech-aware than the average mass-market consumer out there, and she’s also reasonably embedded in the Apple world, with a Mac, an iPad and an iPhone. But she still wasn’t happy about having to use an iPhone to switch on lights. That doesn’t mean you have to rein-in your plans, but you may have to adapt them. 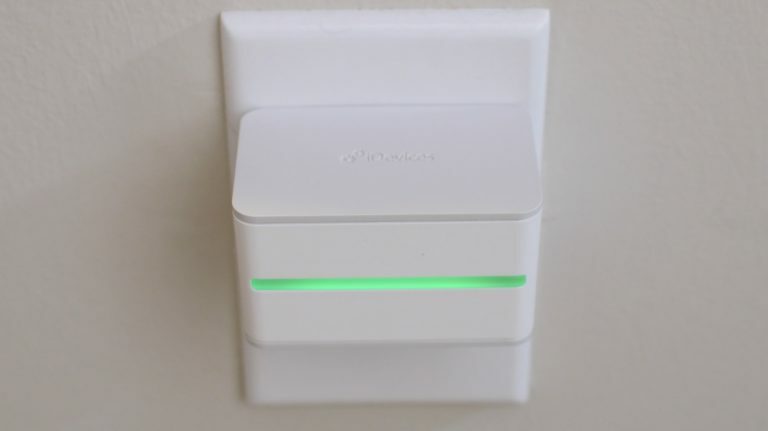 In our case, we added a bunch of Hue Dimmer Switches to the walls so that Steph had the option of using physical switches – even if they were Wi-Fi ones. That adds cost as well as effort. Ok, so you’ve decided you love gadgets and you can afford them; you’re willing to put in the work; you have a laid-back attitude to uncooperative technology; and your family is on-board. Even with all this in place, I’d still recommend dipping a toe into the smart home water first. Take a look around at what’s out there, and see what has greatest appeal to you – but for most people, I’d say that a Philips Hue Starter Kit is going to be a good entry into the smart home world. For under $200, you’ll get either two or three bulbs (depending on which version you opt for) and the bridge that makes them HomeKit-compatible. By the time you’ve done this, you’ll have a good sense of the amount of effort involved, and the benefit you see from using it. Whether you take my advice to start small, or jump in with both feet, the age-old advice to buy the right thing once applies. Don’t buy something cheap that you’ll want to replace further down the line, as that only ends up costing more in the long run. HomeKit support makes such a big difference to usability that I’d say you want to almost view this as a must-have. For example, if your lights, blinds and heating are all HomeKit-compatible, then a single Siri command or button tap like ‘Goodnight, home’ can take care of everything that needs to be done before going to bed. 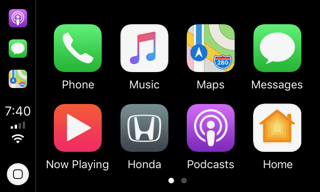 For non-HomeKit devices, you can’t use Siri, and you’ll have to go into each individual app in turn to control their respective devices. I say ‘almost’ as you may find you have to make some exceptions – especially outside the USA, where compatible devices aren’t always available. And sometimes the price difference between the same thing with and without HomeKit support can be dramatic. For example, our heating system uses electric radiators, which can’t be controlled by the Tado system we had before. There aren’t any HomeKit-compatible ones, but it’s really not a big deal because – for the most part – they operate on timers. With blinds, we took a bit of chance, opting for ones that are iPhone-controlled but not yet HomeKit compatible – with later support promised. 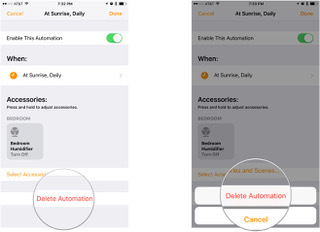 Since the company’s app already supports Scenes (one-button ways to set the positions of multiple blinds), then we’re reasonably confident that it is all set for HomeKit – and in the worst of cases, it’s not a massive convenience to tap two buttons rather than one in morning and evening. The reason we did that? HomeKit-compatible ones were literally twice the price. Depending on how many lights you have in your home, and how they are configured, it will generally work out cheaper to replace dumb switches with smart ones than to replace dumb bulbs with smart ones. For example, if you have a living-room switch that controls four lights, each with two bulbs, a single switch might cost you $50 rather than spending $200 or more on eight bulbs. In the USA, there are quite a few brands to choose from now – but always check HomeKit compatibility for the specific switches. Smart bulbs can do more than smart switches. For example, smart bulbs may allow you to select their color temperature, switching between bright white lighting when concentrating on something and a softer, yellower light when relaxing. They will also typically offer dimming – which smart switches do too, but don’t work with all bulb types. However, the biggest benefit you get from opting for smart bulbs rather than smart switches is the option of color. Attitudes to color bulbs vary. Some people are dismissive, seeing them as gimmicks that belong in nightclubs rather than homes. But many of us have come to love them. For example, we often set the living-room floor lamps to blue or purple to provide enough light to see by without spoiling the view from the windows with bright reflections. In the bedroom, it’s nice to have the option of a warm and relaxing yellow-orange light. The Philips Hue starter kit I recommended earlier gets you color bulbs, so you can then see how you get on with them and whether the added cost of color is worth it to you. I’m trying to keep the piece as general as possible, but I think Philips Hue Light Strips are worth a special mention, as they are so versatile. These are long multi-color LED strips designed to provide mood lighting. You can use them for under-cabinet lighting in a kitchen, for example, setting them to white when you are cooking and a color when you just want accent lighting. Other common uses are for TV consoles, desks and bookshelves. We even use them as wardrobe lights as a single strip provides both overhead and side lighting. 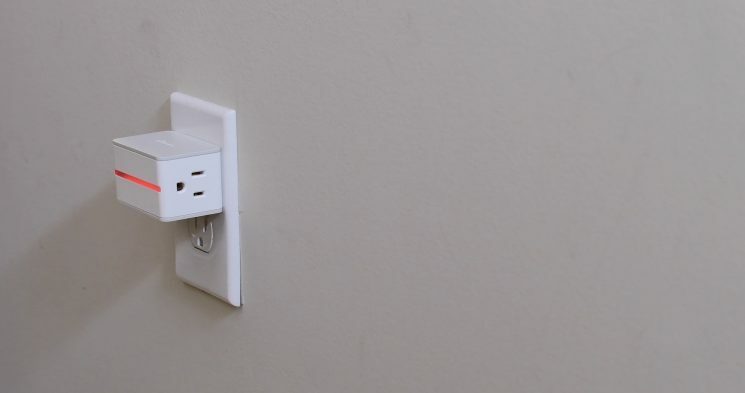 If you have floor or table lamps, another way to convert them to smart devices is to use a smart plug socket. Leave the lamp switched on, and then control the socket instead. Elgato Eve Energy is the market leader here, and the app also monitors energy usage and costs into the bargain. If you have a central heating system, a smart thermostat can be a great buy. Presence-detection means that when the system sees there is nobody home, it automatically turns down the heating to save money. With the Tado system I had before, for example, it reduced the heating bills by around 7%. Nest, Tado and Ecobee are three big names here. This is one category where I’d say HomeKit compatibility is less important as mostly you’ll leave it to its own devices. However, these probably only make sense if you’re staying put for a while. The payback time on a system saving 7% a year, for example, will be a number of years. 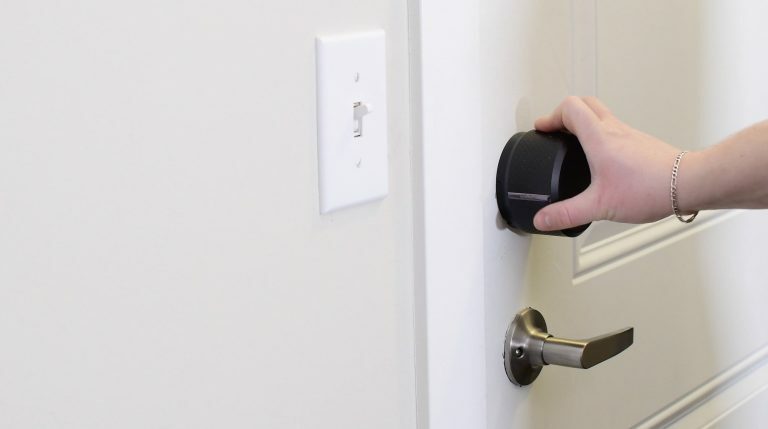 Walking up to your front door with your hands full and having the door automatically unlock when you approach it is undeniably convenient. 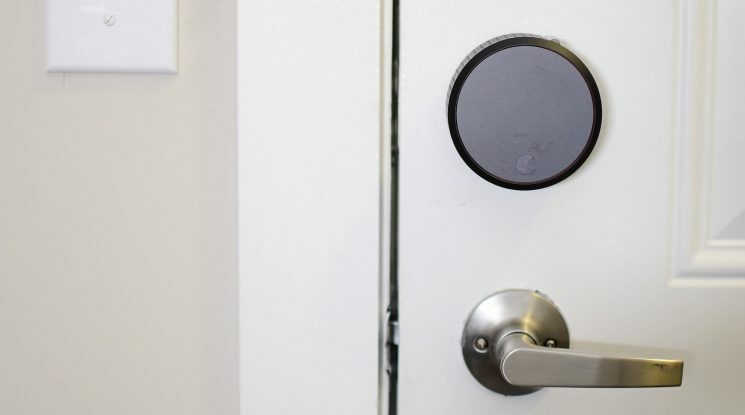 Smart locks work by detecting your iPhone or Apple Watch via Bluetooth. They also allow you to do things like allow timed access to specific individuals. For example, if your cleaner visits weekly on a Friday afternoon, the lock can be set to allow them in only between 1pm and 2pm on Fridays. And if a friend is coming to stay and gets there before you do, you can grant them one-off access via a temporary code. However, you do need to think about security. 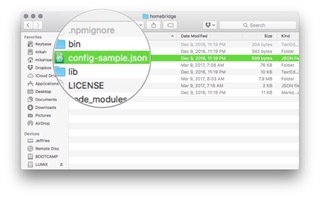 Even with HomeKit, which is designed to offer a very high level of security, there can be vulnerabilities – like the one we reported to Apple. You may consider smart locks to be one step too far. The same applies to smart cameras. If you have young kids, for example, these can provide a great way to keep an eye on them wherever you are. Cameras can also be set to send alerts when they detect motion, and some even have face-recognition so that they don’t bother alerting you to familiar faces. Again, though, you have to be aware of the potential privacy risks of a camera feed that’s accessible via the Internet. Finally, a smart speaker provides a really convenient way to control smart home technology. With this, you don’t need to have your iPhone or Watch with you as you wander around your home. If everything you have is HomeKit-compatible, then a HomePod can control everything – but the cost only makes sense if you’re also looking for a decent speaker. Otherwise, an Amazon Echo Dot is a really low-cost device that will control most smart home devices – and is cheap enough that you could sprinkle a few around your home. You can check out my Smart Home Diary pieces for my own experiences, and please add your own tips in the comments. Apple’s new HomeKit mini site is the perfect place to learn about new HomeKit-enabled accessories. I’ve been waiting for Apple create its latest mini site since I first heard the word “HomeKit” way back in 2014. The site, lovingly nestled within the iOS section of Apple’s site features a fun film that shows off some of the cool stuff you can do with HomeKit-enabled accessories, Siri, and the iOS Home app. Personally, I think the gal in the video has way too many HomeKit scenes, but that’s neither here nor there. If you’re curious, you can check out the page at the following link. If you wanna know what you’re getting yourself into first, read on! So what’s this mini site all about? It’s all about HomeKit, the Home app, and HomeKit-enabled accessories. 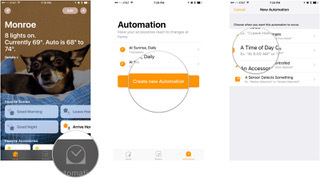 This site is dedicated to not only explaining what the heck that little orange, house-shaped tile on your iPhone is for, it’s dedicated to explaining the benefits and possibilities of home automation with HomeKit and the Home app. 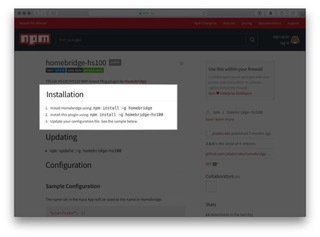 You can get a brief overview of the Home app, learn about HomeKit scenes, Siri voice control, HomeKit automations, HomeKit-enabled accessories, and home hubs. Can’t I get that right here on iMore? HOW FUNNY! I was hoping you were going to ask that! Yes, yes you can. I’m gonna let you in on a little secret, though: You should still check out Apple’s site, ’cause it’ll be one of the places I regularly check when I’m writing about HomeKit news. 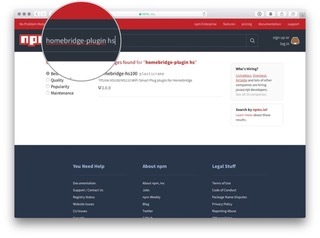 Does the site help me set up HomeKit accessories? Yup! 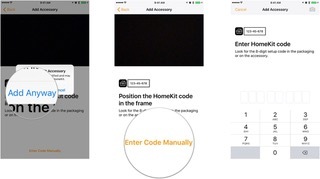 It can be a little tricky setting up HomeKit-enabled accessories (mostly because they typically require third-party app set up before HomeKit set up), so Apple’s linked to a support article with loads of information about setting up your various gadgets in the Home app. What else does the site feature? Uh, only a dream come true (for me, anyway)! There’s now a page that shows all the HomeKit-enabled accessories approved by Apple. The page is beautifully designed and split into accessory type, so you can tap (or click) to jump to a specific section. 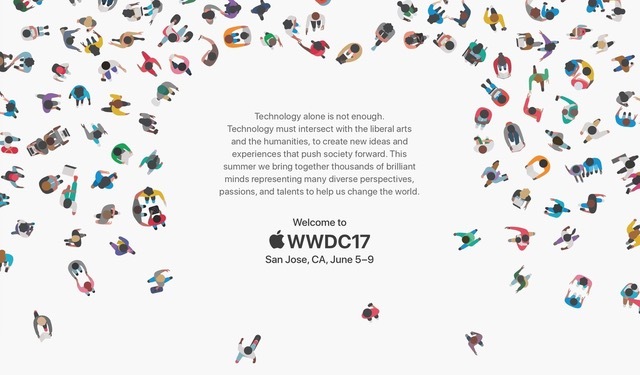 Announced: Either the product has been announced for the first time or HomeKit compatibility has been announced. I get the impression this means it’ll be awhile before we see the product available for purchase. Coming soon: I take it this is a step above “Announced”. 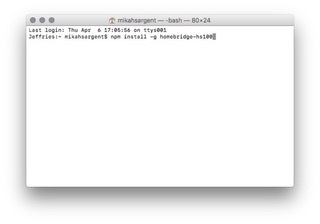 The product (or HomeKit compatibility) is right around the corner. I wish I knew the exact timeframe, ’cause there are a few accessories on the list I’m eyeballing. Nope, that’s pretty much it! But it’s a whole heck of a lot, to be honest. 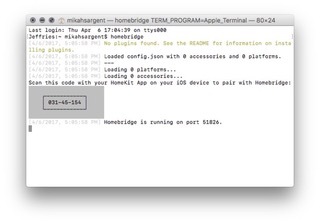 Apple’s list of HomeKit-enabled accessories used to be buried in its vast Apple Support database. The page was a long, bulleted list (without links!) 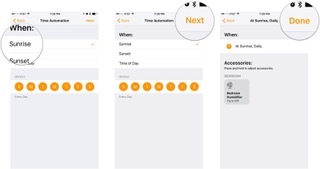 of available HomeKit-enabled accessories — upcoming accessories weren’t listed. It also wasn’t updated as often as HomeKit-enabled gadgetry was hitting the market. This dedicated mini site coupled with Tim Cook describing his personal HomeKit setup in the last Apple earnings call gives me hope and loads of excitement for the future of HomeKit and Apple’s Home app. I love having a connected home and it’s clear Apple is committed to making the smart home all the more awesome. Comment: Could Apple really drop Touch ID in the iPhone 8? Comment: Could Apple be left with no choice but to do the wrong thing with the iPhone 8? And we are leading the industry by being the first to integrate home automation into a major platform with iOS 10. As our resident HomeKit enthusiast, Cook discussing the feature during Apple’s earnings call caught my attention. 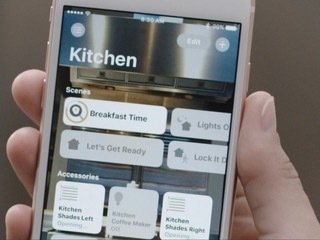 Cook even describes how he’s personally using HomeKit. 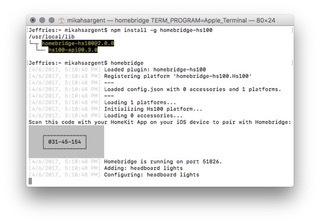 Below I’ll unpack exactly what Cook said about HomeKit, a bit about how I’m using it as well, and some helpful HomeKit resources. A disclaimer up front: your mileage may vary outside of the United States since home accessories do not use the same standards around the world. 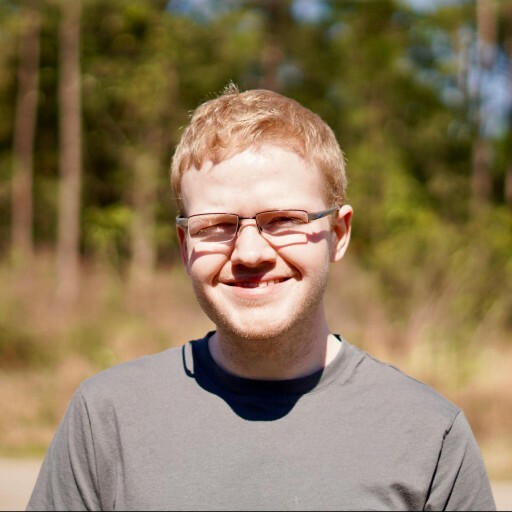 For a UK perspective, my colleague Ben Lovejoy recently detailed his experience with getting started with HomeKit. 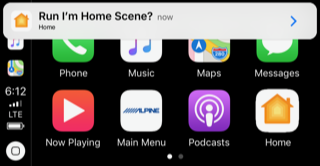 With Siri and the new Home app in iOS 10, everywhere you go you can easily and securely control all of your home accessories with your iPhone, iPad, or your Apple Watch. You can also control HomeKit using Siri on the new Apple TV with tvOS 10. There’s no Home app for Apple TV (yet), but using the Siri Remote to control home accessories when picking a movie is convenient. You actually need an Apple TV (3rd or 4th generation) to have remote access to HomeKit like Cook mentioned, and automation which is really useful requires an Apple TV (4th generation) with tvOS 10 or an iPad with iOS 10 that’s powered on and present to work. The number of HomeKit compatible accessories continues to grow rapidly with many exciting solutions announced just this month including video cameras, motion detectors, and sensors for doors, windows, and even water leaks. HomeKit product availability expanding is absolutely true. A lot of stuff is promised and coming soon, but you can already buy plenty of HomeKit accessories. One challenge I’ve found, though, is that there’s no single store for everything HomeKit including Apple. I think the misconception that there isn’t much HomeKit hardware starts with how it was introduced. HomeKit was announced with iOS 8 back in June 2014 but we didn’t see the first compatible accessories until a year later. Fast forward another year and Apple upgraded HomeKit with a built-in app to manage it and support for more accessories. Much of what Cook references was unveiled at CES at the beginning of the year and is coming throughout this year. The pattern seems to be that Apple announces support through the HomeKit framework at its annual developer conference in June, then home accessory makers are able to catch up a year later. Perhaps even more importantly, we are unmatched when it comes to securing your home with HomeKit enabled door locks, garage doors, and alarm systems. 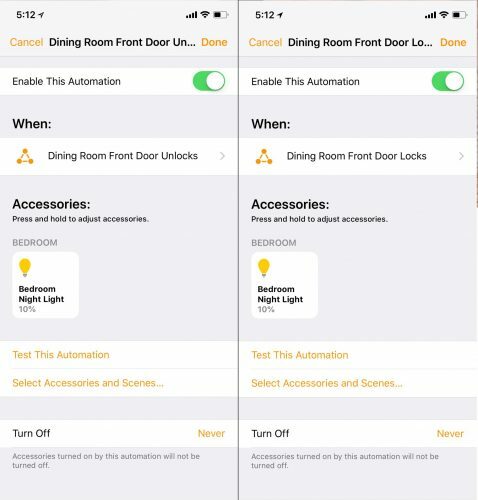 HomeKit has been healthy on the door lock front for a while now with solutions from August, Schlage, and others, and the Home app on iOS 10 makes lock support better with Control Center access and automation. Chamberlain is delivering HomeKit support to garage door openers starting this spring (after being a launch partner in 2014), and Honeywell has HomeKit support coming to its Lyric Security system (although I’m not totally sure how it will work with the Home app). 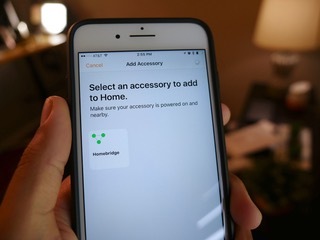 I’m personally using HomeKit accessories in the Home app to integrate iOS into my Home routine. Now when I say good morning to Siri, my house lights come on and my coffee starts brewing. When I go to the living room to relax in the evening, I use Siri to adjust the lighting and turn on the fireplace. 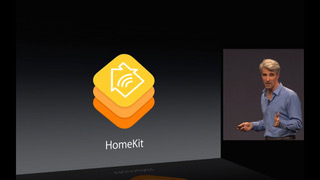 Cook is talking about using scenes in HomeKit when he references telling Siri good morning to control accessories. 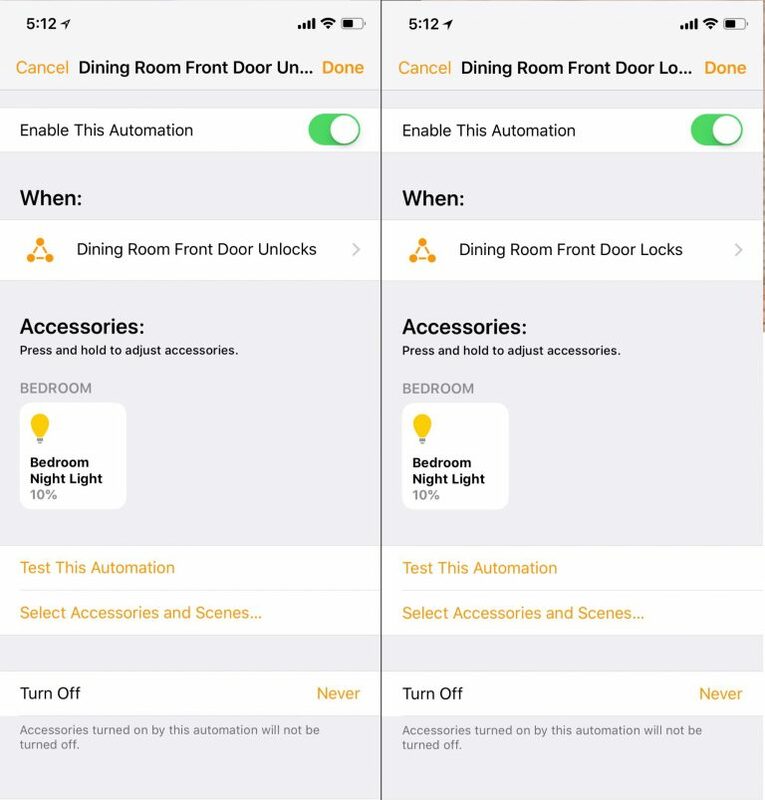 Controlling individual accessories is neat, but where HomeKit really gets useful is when you group multiple actions under a single command or even an automation that happens on its own. For example, I usually wake up at the same time every week day, manually turn off the bedroom fan, and walk around and turn on the same lights around the house. Through HomeKit, I have a scene called Good Morning that turns my bedroom fan off and turns the right lights on based on a time of day automation. I like that this occurs without even interacting with Siri, but Siri is a good solution if you wake up at different times like I do on the weekend. It can be expensive to set up the right accessories for useful automation, but the products that can do it are definitely on the market now. And when I leave the house, a simple tap on my iPhone turns the lights off, adjusts the thermostat down, and locks the doors. When I return to my house in the evening as I near my home, the house prepares itself for my arrival automatically by using a simple geofence. Everything he describes here is totally possible now with Philips Hue or Lutron Caseta for lighting; ecobee, Honeywell, or iDevices for thermostats; and August or Schlage for locks set to the I’m Leaving scene. Cook’s also describing using an automation based on location to enable the I’m Home scene with HomeKit using the same types of accessories. This level of home automation was unimaginable just a few years ago and it’s here today with iOS and HomeKit. HomeKit isn’t perfect but it’s come a long, long way in the last 18 months. I think it has a reputation for being a feature without hardware to support it since that was true during the first year, but it’s easy to spend a lot of money (trust me) on real HomeKit hardware now and even more accessories are coming this year. 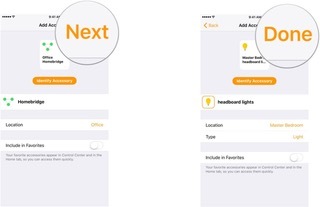 There are opportunities to make HomeKit more user-friendly and compatible accessories easier to find, but Apple has definitely made progress by promoting HomeKit to a built-in app in iOS 10. Apple also has a section on its online store dedicated to HomeKit accessories, although you’ll find some HomeKit accessories at Best Buy, Amazon, and other retailers just by searching ‘HomeKit’ that aren’t available from Apple. 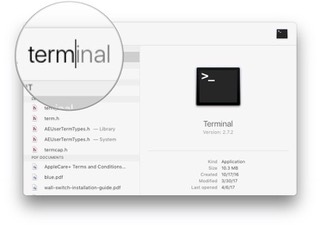 For the most up-to-date HomeKit news, bookmark 9to5Mac‘s HomeKit Guide and stay caught up on product announcements, news, and reviews before they hit stores. Cook describing how HomeKit works for him motivated me to revisit how I can do the same with scenes and automation based on my routines. It can be super basic but useful every day. For example, I take my dog out first thing in the morning which is before sunrise while it’s still dark outside. I created an automation to turn the porch lights on at 5 a.m. and another to turn them off at sunrise so they come on and off as needed. Later in the day, the porch lights turn on at sunset and turn back off at 11 p.m. automatically. That’s four separate automations in the Home app which you have to set up once ahead of time, but it’s rewarding when you base it around your existing habits. Another example is my Work scene. My Good Morning scene automatically turns of the right lights in the morning, but I work from my home office and don’t use the I’m Leaving scene to shut the house down. Instead, I created a scene called Work that turns off all the lights in the house, locks the front door, and leaves anything in my home office turned on. This is an example of noticing a pattern in my routine over a long period of time, then finally putting a scene together that can achieve what I was doing manually (or meaning to do) before. Everything you set up in Apple’s Home app can be shared with family over iCloud and be mirrored on their iPhones and iPads based on what you create and how you arrange it. Control Center favorites are even matched so you can be the manager of your smart home and let your family benefit without having to set it up too. 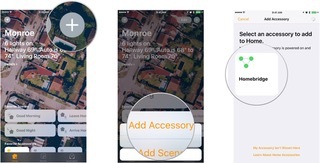 Apple’s Home app even intelligently uses location to know which homes to show. For example, I can share my HomeKit setup with my mother-in-law so she can use Siri and the Home app to control accessories when she’s visiting, but her Home app will only default to my home accessories when she’s nearby. Based on Tim Cook pitching HomeKit during an earnings call and Apple promoting HomeKit to a built-in app with iOS 10, I’m optimistic that it’s not just a hobby project for the company and instead one that will continue to improve with time. Apple’s investment into the feature should also send a message to accessory makers that HomeKit support is something customers will expect. The next sign I’ll be looking for is what changes HomeKit receives in iOS 11 and if HomeKit comes to the Mac with the next macOS update. 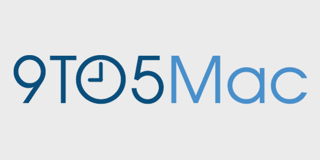 Zac covers Apple news and product reviews for 9to5Mac, contributes to 9to5Google, and hosts the weekly 9to5Mac Happy Hour podcast. 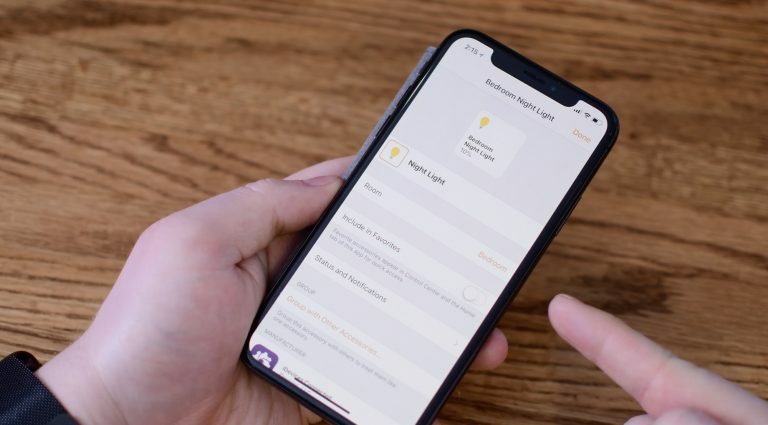 HomeKit is Apple’s home automation framework that lets you control connected accessories from your iPhone, iPad, Apple Watch, and even Siri. 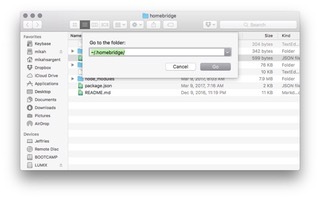 If your HomeKit house disappears or is having trouble syncing, here’s what you can do to fix it. When I updated to iOS 9.2 on my iPhone this week, I ran into a terrifying bug: Upon restart, my HomeKit house vanished. But no matter what I did, I just couldn’t see HomeKit on my iPhone. The HomeKit scren appeared in the Settings app, but instead of “The Palace,” I saw a mournful “You currently do not have any homes or invitations to homes.” No bueno. After some consultation and experimentation, it turns out that a strange app bug had glitched my iCloud syncing. As a result, myHomeKit data in iCloud stopped syncing with my physical device, presenting as a device with no data. (I’ve also seen a bug where your accessories show up, but you can’t interact with any of them.) Your data is fine—as evidenced by perfectly-functioning HomeKit apps on other iOS accessories logged into your account—but it just can’t communicate with your iPhone any longer. If you’ve run into something similar yourself, here are a few troubleshooting steps you can take to try and fix it. Step 1: Reboot your device. Sometimes a simple device reboot is all your iPhone needs to right itself back with the iCloud sync repository. Step 2: Turn iCloud Keychain off. If a reboot doesn’t work, try rebooting the next best thing: iCloud Keychain. Your HomeKit data syncs via iCloud’s encrypted storage locker, and turning it off and on again forces a re-sync between your device and the keychain. NOTE: Before you turn off iCloud Keychain, make sure you either know your security code or have another device of yours logged in to iCloud nearby so you can reauthenticate your iPhone. Go to Settings > iCloud > Keychain and turn iCloud Keychain back on. 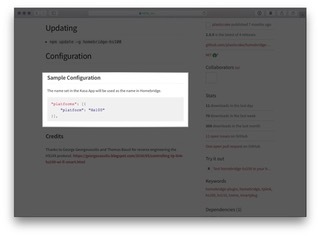 Approve iCloud Keychain from another device or enter your security code. Wait a few minutes to see if your Home data reappears; if it doesn’t, try rebooting your device again. 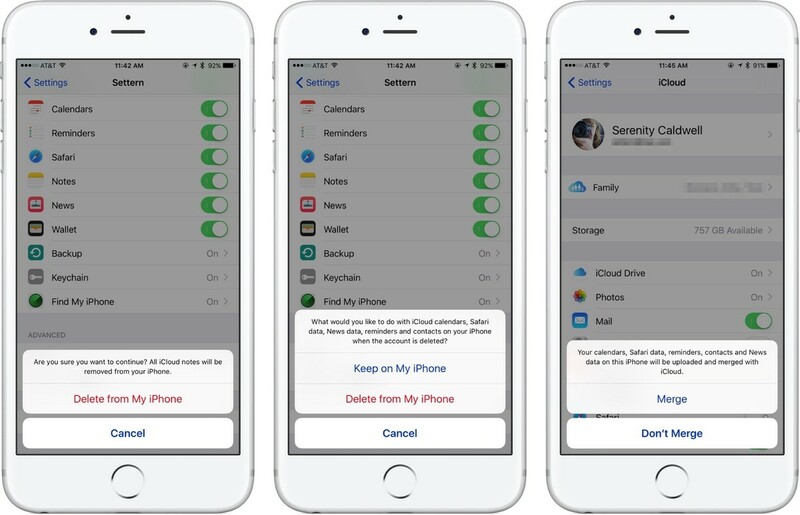 If rebooting iCloud Keychain didn’t do the trick, it’s time to consider the nuclear option: Logging out of iCloud on your device. This can be a pain for a number of different reasons, but the biggest annoyance is that it resets all credit and loyalty cards you have in Apple Pay. Still, if you haven’t had luck with any of the above steps, it might be time to give this a try. 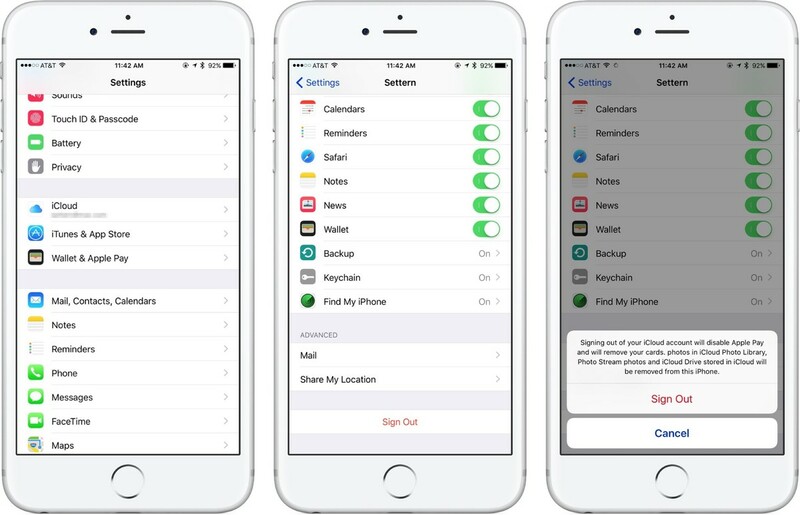 For this step, you’ll also need a second Apple ID—to help reset iCloud sync. If you don’t have one (or live with a significant other who has one), you can create one for free at the sign in screen. Tap Sign Out, and confirm. 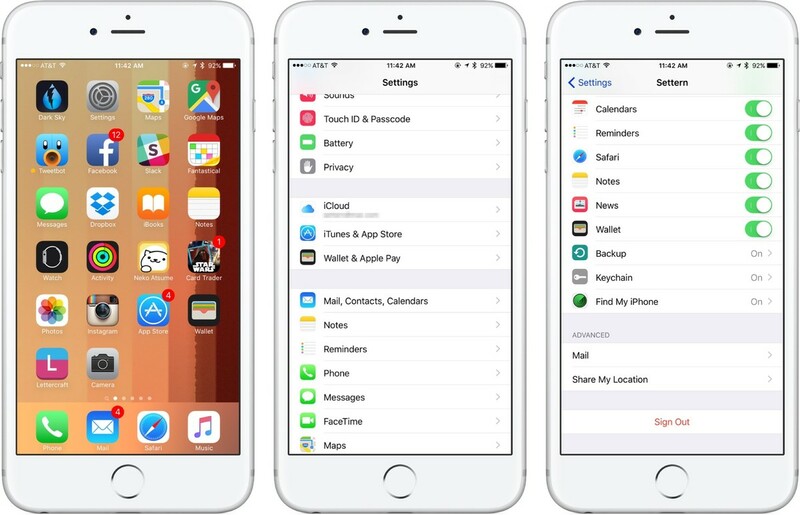 You’ll be prompted that all iCloud-stored notes and images will be deleted from your device. Press Delete to confirm. Press Keep on My [device] when iCloud prompts you about locally-stored calendars, News data, Safari data, and more (to reduce sync time). Enter your Apple ID password and press Turn Off. After your account is disabled, go back to the iCloud settings screen. Log in with your other iCloud account (or create a new iCloud account at this time). Tap Don’t Merge when asked about your data. Log out of the secondary iCloud account (follow steps 2-5). Log back into your primary iCloud account. Tap Merge when asked about your data. Go to the Keychain screen and turn iCloud Keychain back on. Wait a few minutes to see if your Home data reappears in your HomeKit app of choice; if it doesn’t, try rebooting your device. Let us know in the comments. Step 3 was the step that finally worked for me, though it did come at the cost of having to set up my Apple Pay cards once more. 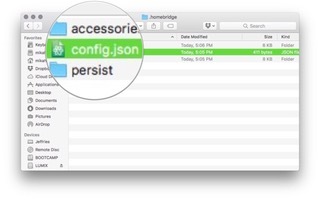 With luck, you’ll be able to reset your HomeKit data with one of the earlier steps.